I'm one of those girls with boxes upon boxes of nail varnish. I have been doing nail art for about 4 years now, and my family and friends always love when I paint their nails. Which means I always like to have a variety of colours, but also that I'm bought a lot of them as presents, and I also won a Barry M competition once where I won 10! I try and be strict when I'm moving back to university, because when your car is full of everything except the kitchen sink, it can be difficult justifying to my Dad why I need two boxes of nail varnish. So I brought a limited number back with me this time, mainly Autumnal colours which I think are perfect for the colder months. Here are my top 5 to share with you all, in case you're in Boots or Superdrug over the next week and fancy treating yourselves! 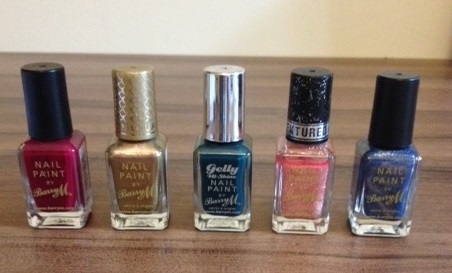 As you can probably tell, I'm a HUGE fan of Barry M when it comes to my nails. I think they are not only extremely affordable, but last well and look amazing. 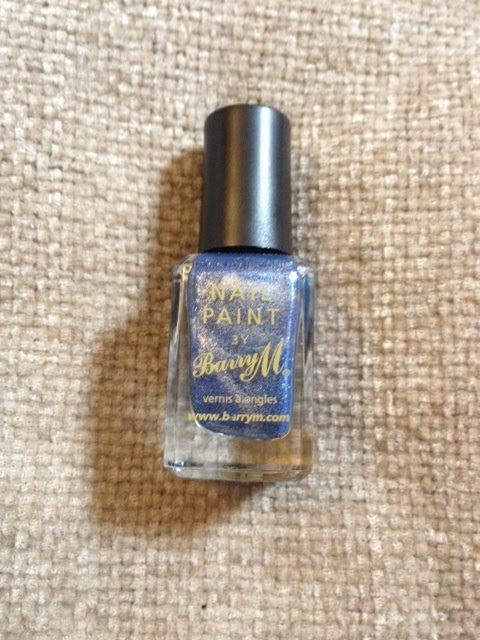 Barry M AQNP3 Caspian 404 | This was released as part of the Barry M Aquarium range earlier in the year. 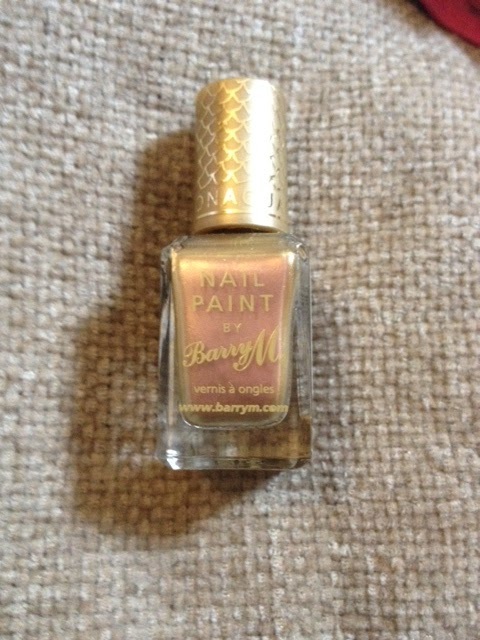 I have several of these polishes, but the gold has been extremely popular among my family and friends of all ages. When light reflects on it, it shimmers pink and blue, which looks really nice. This polish has been great for when I have been working over summer in an office environment, and don't want to have bright nails which aren't really formal or appropriate! 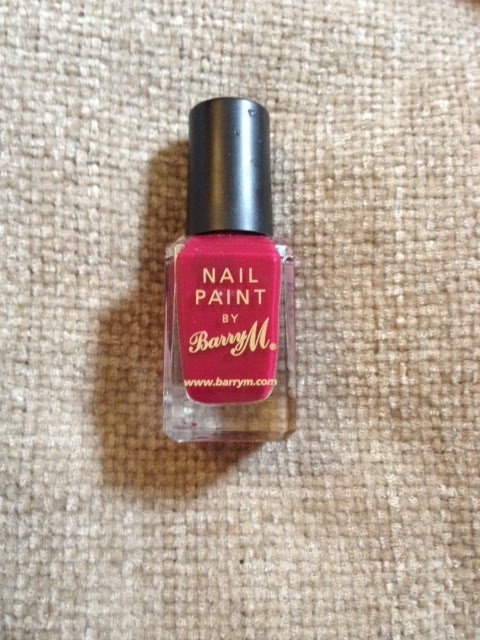 Barry M TNP 5 Princess 337 | This was in fact a present from my four year old niece, who is most definitely a princess in waiting! Pink is her favourite colour, and she loves when I paint her nails, so she probably bought me this with herself in mind! 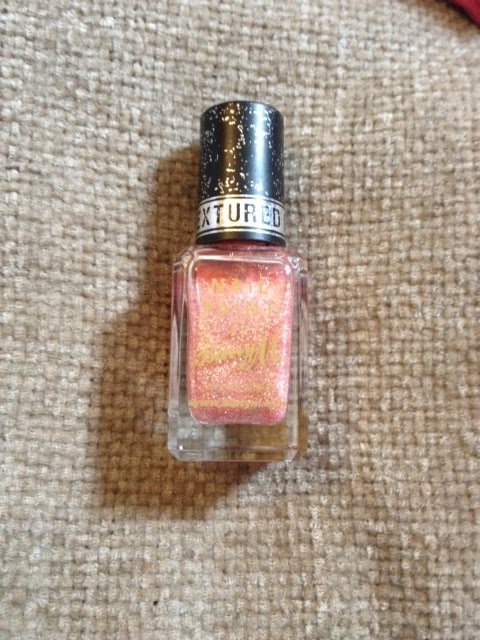 I love the pink glittery colour (apologies that it doesn't photograph well). Just because it is colder doesn't mean our nails HAVE to be darker, and this is great for any celebrations, parties or nights out, or just to add a touch of sparkle to any old day! Barry M 325 Denim 339 | This was also a gift from my niece for Christmas. I will admit I was a bit sceptical of whether I would like Denim effect nails, but the metallic blue with a hint of glitter is really nice! It's perfect for if you don't want anything too bold, but want a hint of sparkle!